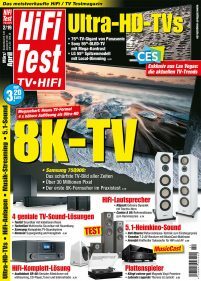 Hifi Test TV Video was founded 1992 to give the general consumer an easy-to-understand magazine, alongside the specialist magazines. This approach was widely appreciated by its readers and the magazine has had a high circulation from the beginning. It covers a wide range of consumer electronics products and offers reviews, tests, features, advice, help, show reports, interviews and buying guides. It’s aimed at readers planning to buy a product and who want information about what’s going on in consumer electronics. Its readers have a big interest in consumer electronics and are 90% male, aged 20-50.